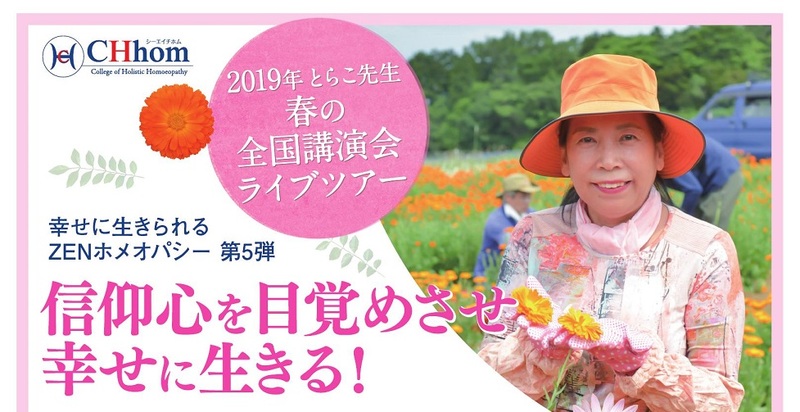 Spring lecture tour 2019 by Dr. Torako is going to begin!! Her live lecture gives wonderful energy to audience. Feel the energy with your soul, mind and body!! The popular lecture tour by Dr. Torako is going to be held from Sun 10 Feb. It starts from Fukuoka in Kyushu area and ends in Tokyo on Sat 6 April. Dr. Torako is going to talk about essences of living happily and comfortably. We are alive thanks to Mother nature (gods), Ancestors (Buddhas) and People. How much can we be aware of this? How much can we live with a sense of gratitude? Living with faith is the base for peace of mind and calmness. Let’s live happily by awakening our innate faith.